Siddharth Desai was bought by Telugu Titans for a whopping Rs 1.45 crore. Nitin Tomar was retained by Puneri Paltan for Rs 1.20 crore. Rahul Chaudhari was sold for Rs 94 lakh and Sandeep Narwal’s price tag was fixed at Rs 89 lakh. 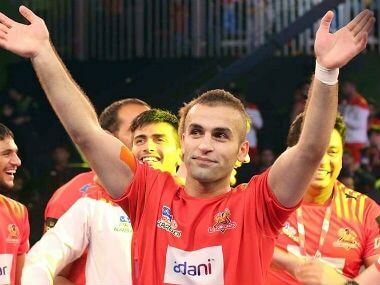 As the first day of the Pro Kabaddi League 2019 auctions wrapped up on Monday, the fates of many a stars of PKL were sealed. 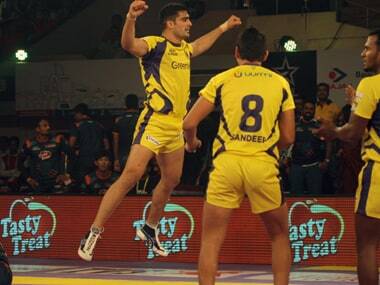 Click here to check out how the first day of the Pro Kabaddi League auction panned out.